Allergies can sometimes be the most crippling and frustrating symptoms for some sufferers. Yet, did you know that hypothyroidism and allergies are intricately connected? 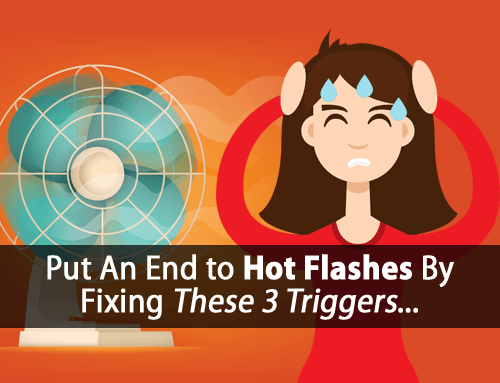 Unfortunately, many are left feeling miserable trying to manage their allergy symptoms the best they can while never getting long-term relief, because they fail to address this thyroid connection. That can all change right now, and I want to show you how. Allergies are primarily caused by the excessive buildup of inflammatory chemicals in the body, especially histamine and prostaglandins. Histamine is normally released by mast cells (a type of immune cell) in response to allergens you may come into contact with. Yet, you might be surprised to learn that your body can overproduce histamine for many reasons that have nothing to do with pollen or other seasonal allergens. Prostaglandins are normally produced due to stress or injury to your cells. Both are natural chemical reactions, but the problem occurs when these chemicals are overproduced, which is quite common in hypothyroidism. In hypothyroidism, your cells can become chronically stressed, which significantly increases histamine and prostaglandin levels. Prostaglandins are also commonly overproduced due to the high levels of thyroid-suppressive polyunsaturated fats in the modern diet. Studies have even shown that mothers who consume larger amounts of PUFAs in their diet have babies more prone to allergies. Maternal breast milk long-chain n-3 fatty acids are associated with increased risk of atopy in breastfed infants. Chronic inflammation not only makes you feel terrible, it can also do lasting damage to your health, especially to your thyroid health. The good news is… there are many things you can easily do to stop the overproduction of these chemicals, and just as important, reduce the miserable symptoms of allergies. 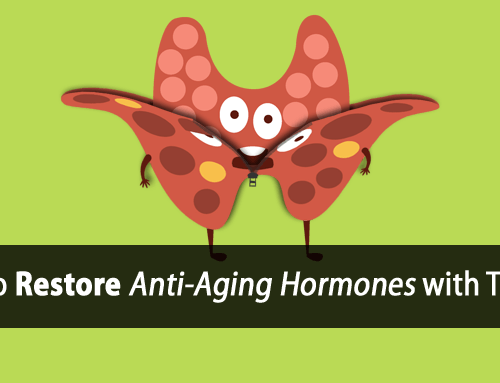 Hypothyroidism and estrogen dominance go hand-in-hand. As estrogen dominance increases, its negative effects on your immune system and allergies increases as well. Estrogen increases both the number of mast cells and their release of histamine, while decreasing your body’s ability to remove histamine from your system. This allows histamine to build up within your body, amplifying the inflammation and allergic response you may experience from common allergens. Effect of oestradiol on mast cell number and histamine level in the mammary glands of rat. Over time, this leads to the Estrogen-Histamine Cycle, which results in histamine intolerance. Estrogen Dominance also increases nitric oxide, which is another way it increase the severity of allergic reactions. Estrogen increases the severity of anaphylaxis in female mice through enhanced endothelial nitric oxide synthase expression and nitric oxide production. 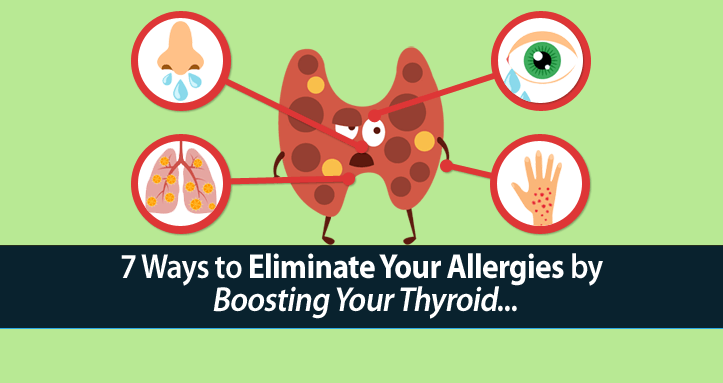 Lowering estrogen to improve your allergies and thyroid health doesn’t have to be complicated. One way is to get started with this super-simple, quick, and easy 60 Second Thyroid-Boosting Carrot Recipe we use with all our clients. You can download this 60-Second Thyroid-Boosting Carrot Recipe here. Low blood sugar (or hypoglycemia) is another common problem among hypothyroid sufferers, due to its effects on your liver. In hypothyroidism, your liver can’t store/release glycogen efficiently, which is necessary to keep your blood sugar stable between meals. This leaves you prone to developing low blood sugar, which is another condition that increases histamine production. As I mentioned above, this increases the severity of allergic reactions. The following study shows just how big an effect blood sugar levels can have on allergic reactions. The relationship of the blood sugar level to the severity of anaphylactic shock. In this study, researchers showed that low blood sugar significantly increased the allergic response. Yet, more importantly, they also showed that the allergic response could be delayed and significantly decreased simply by raising your blood sugar. Another common effect of hypothyroidism is its negative effects on your metabolism. Hypothyroidism promotes an incomplete form of metabolism, which results in an increase in lactic acid and a decrease in the production of carbon dioxide (CO2), both of which increase histamine production in your body. 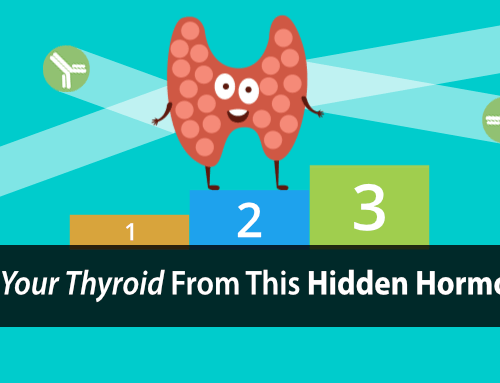 This is why CO2 levels are commonly deficiency among thyroid sufferers. The study below shows that histamine levels are significantly reduced by CO2. Treatment of mast cells with carbon dioxide suppresses degranulation via a novel mechanism involving repression of increased intracellular calcium levels. In other words, when CO2 levels are decreased by hypothyroidism, it makes you more susceptible to histamine and allergic reactions. And, by increasing your CO2 levels, you can significantly inhibit the histamine response to help decrease allergic reactions. If you’re hypothyroid, there’s a good chance your levels of histamine and prostaglandin are too high. There’s a lot you can do to help fix that. Here are 7 tips to lower your levels of these inflammatory chemicals in your body, get relief from your allergies, and boost your thyroid all at the same time. Progesterone boosting thyroid function through its ability to lower estrogen and combat estrogen dominance and its harmful effects. It also improves allergies by preventing mast cell activation and the release of histamine. Supplementing progesterone also decreases the production of nitric oxide by your cells. Both of these are very effective ways to help reduce your susceptibility to allergens. Vitamin E is also well known to help boost thyroid function by its ability to lower estrogen and protect against thyroid-suppressive PUFAs. Similarly to progesterone, its estrogen lowering effects also help prevent the release of histamine. In addition to that, Vitamin E also prevents the formation of prostaglandins by lowering and inactivating the free fatty acids (PUFAs) in your bloodstream. Inhibition of PGE2 production in macrophages from vitamin E-treated rats. Thyroid hormone (T3) can also help to significantly decreases allergies and allergic responses. Thyroid hormone not only lowers your estrogen levels, it also increases progesterone and other thyroid-protective youth hormones to stabilize mast cells and prevent histamine release. Thyroid hormone is also known to stimulate healthy metabolism to increases CO2 levels. While this helps to improve your thyroid health (and your overall health), it also helps stave off severe allergic reactions. Polyunsaturated fats are known to cause serious damage to your entire thyroid hormone pathway. Simply put, avoiding PUFAs in your diet is a must for restoring proper thyroid function. Since PUFAs are the source of prostaglandin production, avoiding PUFAs in your diet can significantly decrease your prostaglandin production, which is a major allergy trigger. Not only does hypothyroidism cause poor blood sugar handling… poor blood sugar handling traps you in a perpetual state of hypothyroidism through what we refer to as the Thyroid-Adrenal Stress Cycle. Maintaining adequate blood sugar levels helps to delay and decrease the severity of your body’s allergic response. If you find yourself having an acute allergic reaction, raising your blood sugar can help. This is true both for moderate to severe allergies, and for major allergic reactions that trigger anaphylactic shock. Coffee and caffeine help boost thyroid function in many ways. Caffeine has been shown to block the release of histamine from mast cells. Inhibitory effects of caffeine on Ca2+ influx and histamine secretion independent of cAMP in rat peritoneal mast cells. Coffee also stimulates healthy oxidative metabolism, which improves both blood sugar handling and CO2 production to further help reduce allergic reactions. This makes drinking coffee a great way to lessen the effects of allergies while giving your thyroid health a much needed boost. Maintaining adequate CO2 levels in your bloodstream is key to maintaining healthy metabolism and thyroid function. Increasing CO2 levels also helps to lower inflammation and inhibit prostaglandin formation within your body. An easy way to increase CO2 levels in your body is through bag breathing. For these reasons, bag breathing can help to stimulate healthy metabolism and decrease the release of histamine to inhibit the allergic response in a healthy way. It’s very simple and easy to do. All you need to do is to hold an empty deflated bag over your mouth and nose and breath in and out for as long as you comfortably can. When you exhale, the CO2 from your breath becomes trapped in the bag, increasing the concentration of CO2. When you rebreath that exhaled CO2, you absorb it back through your lungs causing your blood CO2 levels to rise. Over time, your CO2 levels will return to normal so practicing this multiple times per day will have a greater overall effect. The Hypothyroid-Allergy Connection is a common cause of both allergies and heightened allergic responses. Decreasing the number of immune mast cells. Decreasing the amount of histamine those mast cells release. Decreasing the levels of prostaglandins. 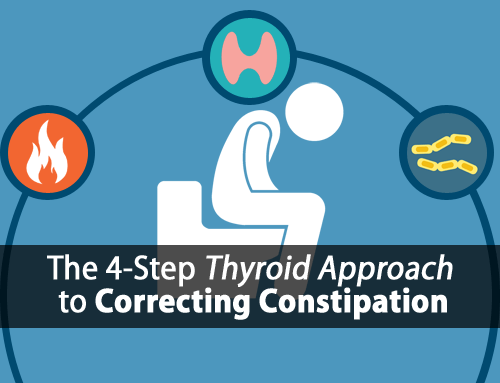 And to do that we’ve covered seven simple thyroid-boosting tips that can help. While each one can certainly help, using all seven would certainly have a greater therapeutic effect. Yet, the goal is to start simple. We always recommend starting with things that can give you the best response with the least amount of effort. For example, maybe you want to start by reducing estrogen, which is one of the biggest and most common thyroid-allergy triggers. You can easily start with supplementing progesterone and/or vitamin E.
Or maybe you’d rather use something food-based to help lower your estrogen levels like this super-simple, quick, and easy 60 Second Thyroid-Boosting Carrot Recipe we use with all our clients. Healing the gut lining by no gluten/GMO/Amour thyroid/progesterone which helps thyroid/green tea/Vit A 10,000IU/Aloe/glutatmine/slippery elms may help prevent allergies and make them less strong. Vit C and quercetin may help destroy histamine. Lyme/coinfections is hurting my gut lining and causing more allergies. Thanks for all the great details explaining each one.